The Buchberger-12® Swimming Edition 2015 contains the original series of twelve (12) exercises modified and designed to strengthen the rotator cuff and scapular (shoulder blade) stabilizing muscles of the shoulder specifically for the swimming population. 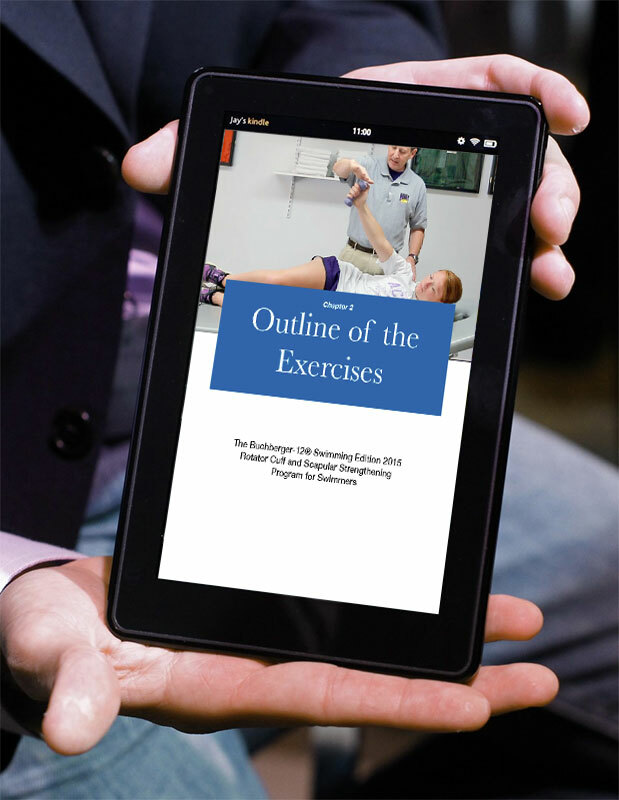 The 2015 Swimming Edition has expanded content and progression for the coach and athlete looking for a self-help guide to improving rotator cuff health while maintaining a competitive edge. Contains text descriptions and still photos. This book is now available from Amazon for Kindle! The Buchberger-12® swimming edition when used according to the guidelines, will help you avoid the majority of shoulder injuries related to swimming and in the process will enhance your performance. Contains text descriptions and still photos.